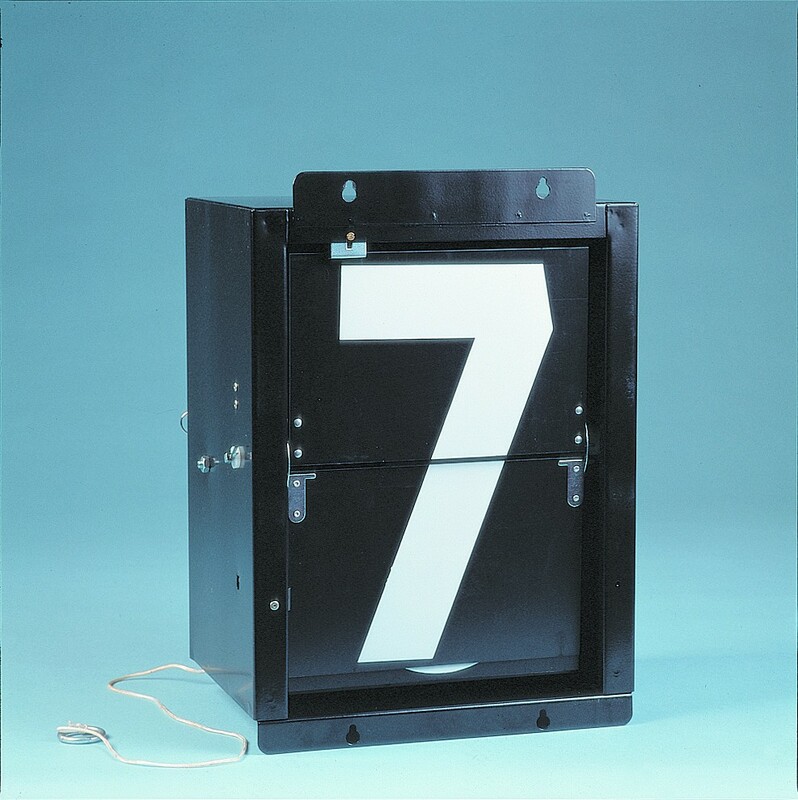 White numerals housed in a sturdy steel case are operated manually by pulling a nylon cord fixed to a lever. 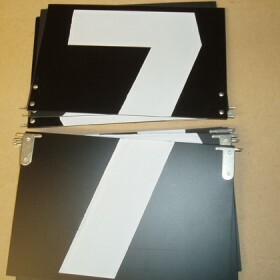 Designed for operation from within a scorebox or building. 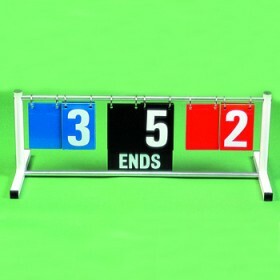 Reversible white numerals housed in a sturdy steel case are operated manually by pulling a nylon cord fixed to a lever. 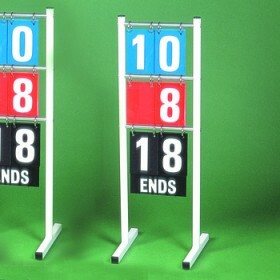 An indicator at the back of the unit shows the number displayed to the scorer.